The stroke panel lets you change how the movements you make with your finger on the screen are translated into brush strokes on the canvas. 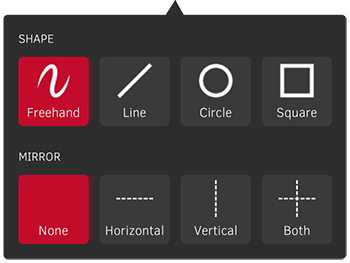 Choose between freehand drawing or creating straight lines, circles, or squares. Turn on mirroring to make symmetrical drawings a breeze!